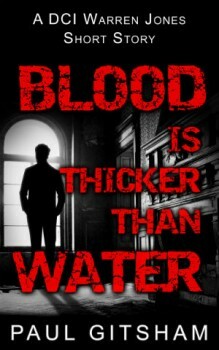 It’s a busy time for author Paul Gitsham, who in addition to launching book three in his popular DCI Warren Series, has also released a short novella called BLOOD IS THICKER THAN WATER. 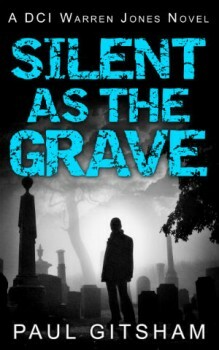 The Big Thrill caught up with Gitsham to talk about the long and short of writing, plus, the inside scoop on SILENT AS THE GRAVE, the third instalment of the series featuring DCI Warren Jones. 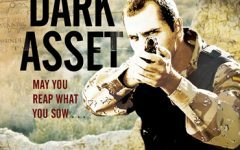 In this book, things get personal for the gritty cop as he investigates the grisly murder of a former gardener. To find the killer, Jones must go up against criminal conspiracy, a ruthless gangster, and the haunting truth of his past. You have two new books out—one is a short story called BLOOD IS THICKER THAN WATER. Is this a prequel to your full length novel, SILENT AS THE GRAVE? BLOOD IS THICKER THAN WATER is a stand-alone DCI Warren Jones story, set between book two, No Smoke Without Fire, and book three, SILENT AS THE GRAVE. Like many writers, I have a file of story ideas that I’d like to share, some of which need a full novel to tell properly, and others, which are naturally shorter. BLOOD IS THICKER THAN WATER serves two purposes, really. First, it’s a little something for my readers to keep them happy until the next book is available. And second, it’s a way into the series for readers new to Warren Jones. I decided to include a short preview of SILENT AS THE GRAVE, both as a teaser for my fans, and as a taster of my writing for those deciding if they want to commit their time to an unknown character. Give us an inside look into SILENT AS THE GRAVE. The story, like the first two in the series, takes place in Warren’s first year as Detective Chief Inspector at Middlesbury CID. After the prologue, it starts with the discovery of the body of a retired gardener and his dog. There doesn’t seem to be any motive for the attack and forensic evidence is lacking. Then Warren is approached by his disgraced predecessor who claims to know the reasons behind the killing. Furthermore, he reveals that Warren has a personal connection to the murder. This takes Warren to a very dark place and he revisits traumatic events from his past. As the story unfolds, Warren finds himself fighting dangerous foes both from the past and the present, placing his career and his family in danger. Now that you are on the third book of your DCI Warren Jones series, what surprises have your encountered with the characters since the start? The characters have really started to take on lives of their own. Although I had some ideas about where the main players would find themselves—and I have their personal journeys mapped out for several more books—they are now starting to write themselves. The relationship between Warren and his second-in-command, Detective Inspector Tony Sutton, has really started to grow and mature. They start very antagonistic, but we eventually start to see their dynamic grow into one of mutual trust and friendship. Furthermore, his immediate superior, Detective Superintendent John Grayson, has turned out to be a much more complex individual than he at first seemed. I’m not sure that even I have the full measure of the man, but I’m enjoying learning about him! Finally, Warren’s wife and her parents have become more important. Susan is Warren’s rock; the person who grounds him. On the other hand, her parents—the domineering Bernice, and the hen-pecked Denis—grow in importance and we see aspects of their personality that weren’t apparent in the first books. They still supply a valuable source of comic relief, yet I am finding them to be so much more important. Who is DCI Warren Jones? Warren is something of an everyman. When we first meet him, he has only just been promoted to DCI and The Last Straw (book one) charts his first murder inquiry as a Senior Investigating Officer. He took the post at Middlesbury as a stepping stone to bigger things and wasn’t prepared for the maelstrom of politics and back-stabbing that this small market town would inflict upon him. When I was developing Warren, I was adamant that I wanted to keep away from the popular tropes of a battle-worn detective, with a messed up personal life and drinking problems, etc. I have nothing against those types of characters, but they already exist—and they weren’t something I felt qualified to write about. In the early days I twisted myself up in knots trying to invent some new take on the detective that we hadn’t seen before. It wasn’t until I was seriously contemplating a one-legged character with an eye patch that I realized I was trying too hard. Warren is—for want of a better word—normal. So I decided to write him organically. Along the way I incorporated some of my own personality quirks and before I knew it, he was a fussy eater, with an embarrassing taste in eighties pop music, and a stable home-life. Remarkably, that seems to have stuck a chord. As the books progress, we see that he does have a troubled past that still influences him today, but he still passes what I call the “Friday night test”—that is, I could see myself enjoying a pleasant pint with him on the weekend. To my surprise, my editor’s first question at our first meeting was “we really like Warren—what’s going to happen to him in later books?” I hope that my readers will come to care about Warren as much as I do. What can fans expect to see from you and series in the future? The first three books, and the short, take place in the first year of Warren’s posting. Because of the time it takes to write a book, this means that in the real world, a few years have passed. So I have decided to jump forward. The next time we see Warren, he will have been in post for about three years. He will have grown in experience and his life with Susan will have moved to a new level. The great thing about doing this means that I have something of a blank canvas to play with again. Key characters will have moved forward—they will still be the same people that we’ve already met, but with new nuances—and little clues and hints that I slipped into the first books will now become more important. I wouldn’t want to give too much away, but let’s just say I have plans to change the status quo significantly in future books with a couple of huge (and not always pleasant) surprises. Another reason to bring the timeline closer to the present is that the world has changed, giving me new directions to explore. The U.K. government’s unfathomable decision to close the world-leading Forensic Science Service and privatize its functions has opened up a realm of story possibilities. New technologies will bring both opportunities and challenges for the police service, and a change in the political landscape has seeded several new ideas. Positive feedback from readers for the short story has convinced me to write more of these little teasers in the future, alongside the regular novels, so keep an eye out. Warren has a lot more stories in him and I’m loving telling them to the world! Paul Gitsham started his career as a biologist: after gaining a PhD in molecular biology, he worked in laboratories in Manchester and Toronto, before retraining as a science teacher. Along the way he had spells as the world’s most over-qualified receptionist and spent time working for a major UK bank, ensuring that terrorists, foreign dictators and other international ne’er do wells hadn’t embarrassed the institution by managing to deposit their ill-gotten gains in a Children’s Trust Fund. Paul’s final school reports from primary school said that he would never achieve anything if his handwriting didn’t improve; a somewhat kinder note urged him to become the next Roald Dahl. If anything, his handwriting has got worse and, unless Mr Dahl also wrote police procedurals under a pseudonym, he has failed on both counts. 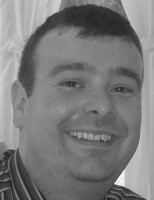 Paul is the author of the DCI Warren Jones series. The first two books in the series, THE LAST STRAW and NO SMOKE WITHOUT FIRE have both been Amazon bestsellers. A third book in the series is due out in 2015, with more in the pipeline. Paul lives in the East of England in a flat with more books than shelf space.